GreenCloud Printer is an eco-friendly PDF and printer driver to save money on your daily print jobs by reducing your ink and paper usage. It's a unique toner saver solution that will allow you to save 35% in average of paper, ink and toner without any compromise on quality. Using GreenCloud Printer as your default printer, you will have a consistent experience. Never waste paper again because you have an extra blank page or a page with only 2 lines of text which is the header of a web page. Especially when you print web pages so basically a few pages. That’s where you're wasting the most paper, ink, and also trees. GreenCloud Printer is available in two editions Free and Pro. The free version is limited by the number of pages that can be processed in one job and adds a small watermark on pages. 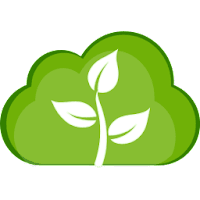 Disclaimer: Direct downloads for the lastest version of GreenCloud Printer 7.8.2.1 are provided by the official software's author, we can't guarantee safety, availability or download speed. Moreover, we don't and we won't provide any pirated/illegal versions or tools. We recommend you to avoid it as these methods can harm your device. If you like the software, buy it to support the developers. (We provide software discounts for many worldwide brands).